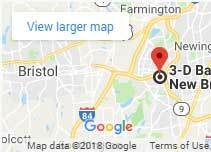 Serving Every Connecticut Town Since 1997 – Call Us! Here at 3-D Bail Bonds, our agents are available statewide 24 hours a day. We have bail bondsmen in every CT town so they can be available immediately to post all CT bail bonds. Our team of agents can answer any questions you may have and are ready to find any information you may need. As industry leaders, our goal is to offer the best and fastest service at the lowest prices. Our process is simple and informative. No hidden fees or false offers. Payment plans are available statewide. When an arrest happens in Connecticut, the person arrested can get out immediately after posting the bail bond. 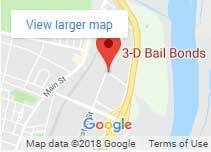 Every Connecticut town has 3-D Bail Agents ready to bail your loved one out. With our reliable and affordable service, you can post bail right now and bring your loved one home today. Call us at 800-570-5544 and ask for a bail bondsman in your CT town. There is always a “local bail bondsman” available every day, 24 hours, weekends and holidays. Our statewide bondsmen are the closest to your location always. 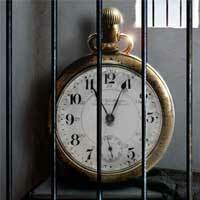 Why can we guarantee the fastest bail service in all of Connecticut? Because we have local bondsmen located strategically throughout the state to facilitate the bail bond process in a matter of minutes. Simply call and request the service near you now. Here is the list of all Connecticut towns where we can get you out of jail in minutes!